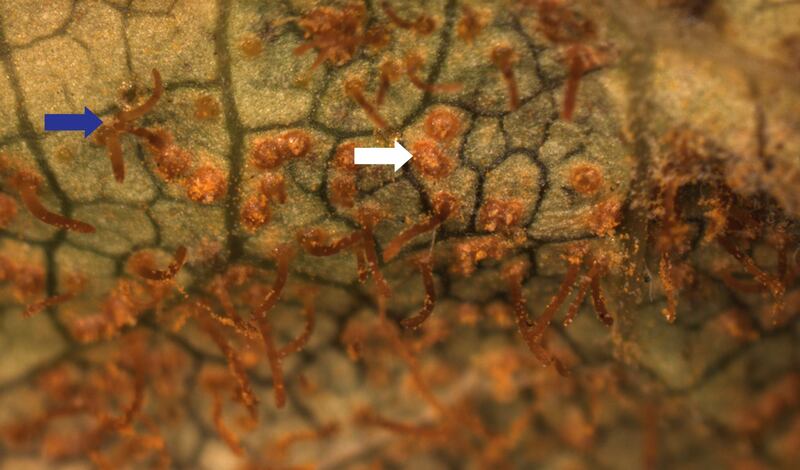 White pine blister rust (WPBR), caused by the fungal pathogen Cronartium ribicola, is an aggressive and non-native pathogen that was introduced into eastern North America in 1909. Since its introduction, the pathogen has killed millions of five-needle pines and has nearly eliminated western white pine throughout its native range. While New England has only one native five-needle pine, eastern white pine (Pinus strobus), this tree is abundant and widespread in forested and managed landscapes. The environmental conditions required for development of WPBR are not as easily satisfied here as they are in western North America, but the disease has killed countless white pines over the past century in New England. Many, but not all, rust fungi require two botanically unrelated hosts to complete their life cycle. In New England, the WPBR fungus also infects Ribes, commonly known as gooseberry and currant. Ribes are small, woody shrubs that are native to New England forests. However, the introduced European black currant (R. nigrum) was widely planted for berry production after European settlement and is especially susceptible to the disease. As a result, the import, cultivation, sale and planting of black currant was outlawed under a federal quarantine and eradication ban enacted in the 1920s. After an intensive program of manual eradication lasting from the 1920s through the 1950s, the Ribes population was reduced in New England. Consequently, the federal ban on Ribes cultivation and sale was lifted in the 1960s. Despite the relaxation of the federal ban, state quarantine and eradication laws still exist today in many eastern states, including Massachusetts. In the early 2000s, the pressure to lift the ban on cultivation and sale of Ribes intensified, led by commercial berry growers. Numerous cultivars of currants and gooseberries with immunity to WPBR had been developed and were marketed as safe for commercial berry production. As a result, Massachusetts law was modified to allow the cultivation and sale of Ribes in certain towns after a formal permitting process (the control area permit). All cultivars of black currant (R. nigrum) are still banned and no permit may be obtained for this species. Currently, 144/351 cities and towns in the Commonwealth of Massachusetts still prohibit planting of all currants and gooseberries (1). Since the modification of the Ribes ban in Massachusetts, commercial production of currants and gooseberries continues to increase as berry growers expand into this niche market. 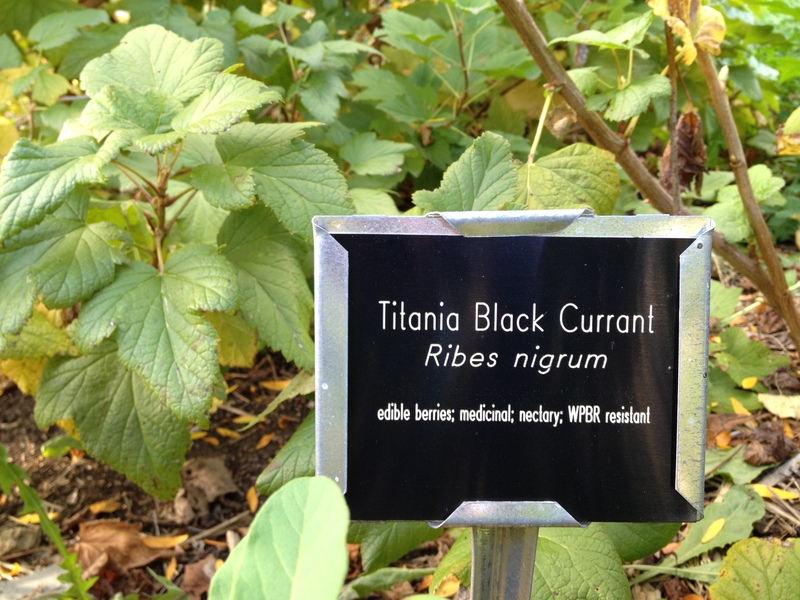 In 2008, researchers in Connecticut observed the WPBR pathogen on a black currant cultivar (R. nigrum 'Titania') bred for immunity to the disease (2). 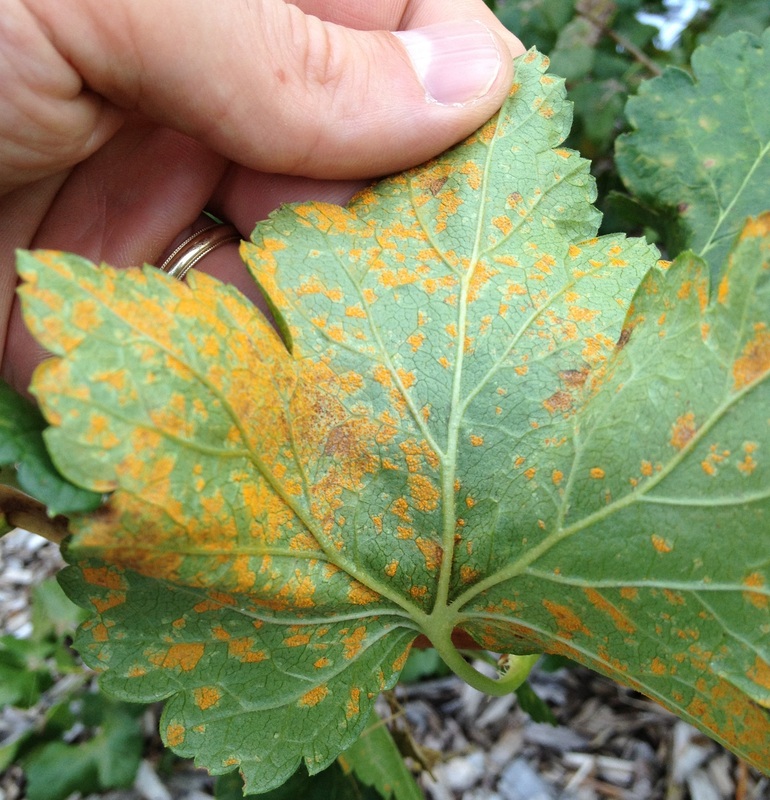 In light of this discovery, researchers in eastern Canada began surveying rust populations in New England and eastern Canada to determine if a new strain of the fungus had been introduced. The researchers determined that it wasn't a newly introduced strain, but a more troubling scenario; a new, virulent strain of the pathogen had naturally developed in northeastern North America. Through genetic mutation, the new strain of the pathogen is capable of infecting numerous cultivars of black currant that were bred for immunity to the disease. This previously immune Ribes cultivar (R. nigrum 'Titania') has been widely planted by commercial berry growers in the northeast. Survey results confirm the new strain is present in New Hampshire, Quebec and New Brunswick and Nova Scotia, in addition to Connecticut. Widespread concern now exists that WPBR will once again become a serious threat for the long-term health of eastern white pine in New England. Young white pines are more susceptible to the disease because the environmental conditions required for disease development occur most often closer to the ground (higher humidity and shade with free moisture on plant surfaces). While the majority of the white pine population in Massachusetts is mature and less susceptible, a considerable number of young white pines exist in forests and managed landscapes. Symptoms of the disease include top dieback, browning needles and the presence of stem and trunk lesions accompanied by profuse resin flow. The stem and trunk lesions may appear as rupturing blisters with oozing and hardened resin. Insect infestation may often be visible near the lesions. The fungus invades the tree through the needles and slowly progresses downward to the twigs and branches before finally girdling the main trunk. No control measures exist for the pathogen on white pine and spores have been documented to travel several miles. However, chemical control of the fungus on Ribes is possible if performed properly by commercial growers. In light of these new findings, the state of New Hampshire reissued the moratorium banning the import, cultivation, sale and planting of black currant that was relaxed in 1999 under special permit. The laws managing the cultivation and sale of Ribes in Massachusetts have not been altered since the ban on black currant was never lifted. This case highlights the tenuous nature of breeding plant disease immunity and the dangers that can result when that immunity is broken through natural selection.